This is what the cover of Darryl Baser‘s debut LP, Raw Selfie, might look like. Woodcut by Dunedin artist Sarah Flourish. 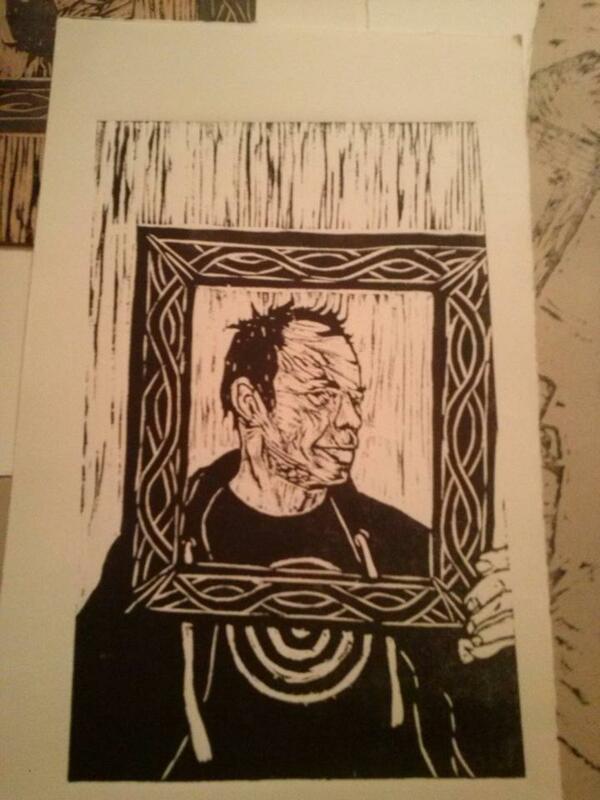 Darryl Baser, woodcut by Sarah Flourish, 2014.